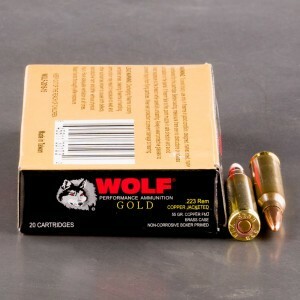 223 Remington ammunition and 5.56x45 NATO rounds are among the popular cartridges for American civilian shooters. 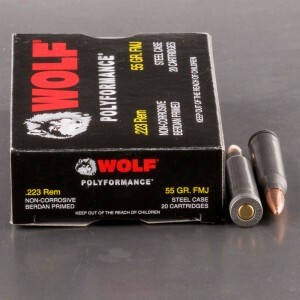 Both are light-weight cartridges with relatively low recoil and a ton of muzzle velocity, making them easy on the rifleman to fire consistently and quickly. 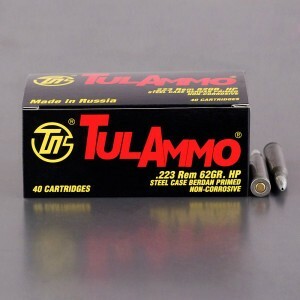 223 ammunition is the most popular rifle caliber in terms of rounds sold in the United States today. 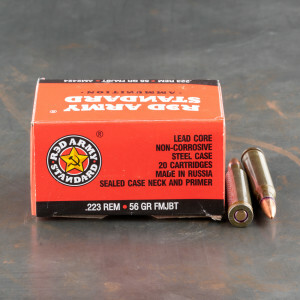 Commonly paired with the AR-15 Armalite rifle, these rounds a capable for defense but most commonly used by recreational sport shooters who like the flexibility the very fast, light-weight bullet provides. 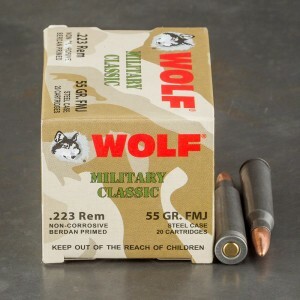 You can expect muzzle velocities in the neighborhood of 3,000 feet per second with most rounds along with a muzzle energy rating that's around 1,300 foot pounds. 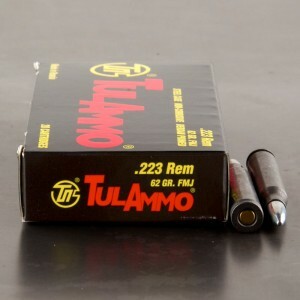 Look for a wide assortment of in-stock 223 ammo along with 5.56 with bullet weights primarily in either 55-grain or 62-grain. 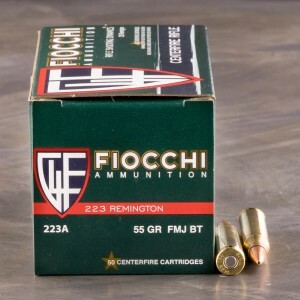 We carry both bulk full metal jacket loaded rounds, like these from PMC and hollow point bullets that are better suited for hunting or competition shooting, like these match-grade rounds from Fiocchi. 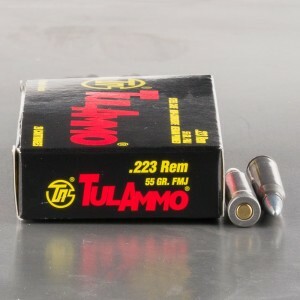 All of our 223 ammo for sale is in-stock with fast shipping. 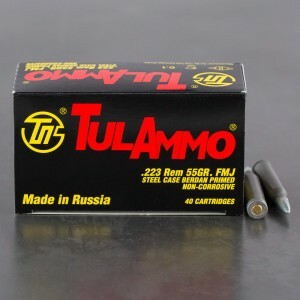 Buying in bulk.. Good bless america and the Second Amendment... Good bless the US Army Infantry..
.223 and 5.56x45 ammunition are nearly identical but there are a few subtle differences that may help you decide which caliber is best for you. Generally, if you own an AR-15 or other rifle chambered for 5.56x45, you can safely shoot .223 or 5.56 ammunition in your firearm without any trouble. However, if you own a rifle that's designated for .223, you may not want to shoot 5.56x45 ammo. 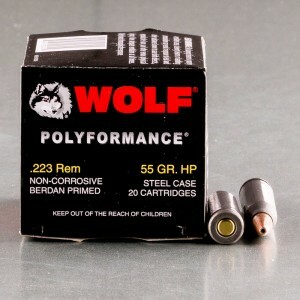 5.56 cartridges are loaded to slightly higher pressures than most commercial .223 ammunition. 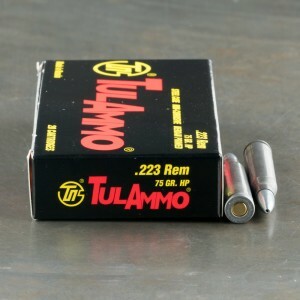 How Much is 223 Ammo? 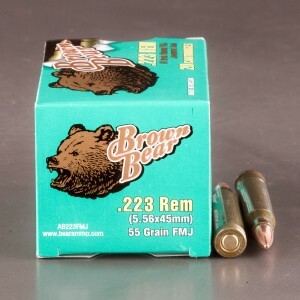 Generally speaking, .223 and 5.56x45 ammunition is pretty cheap to shoot compared to other rifle options. 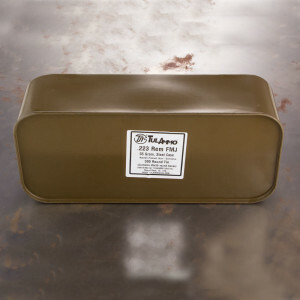 You'll save money by buying your ammo in bulk and we carry a huge variety of 1,000 round cases for sale here that'll have you shooting all day. 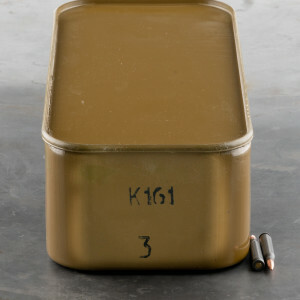 If you need a precision round, look to match-grade ammunition. 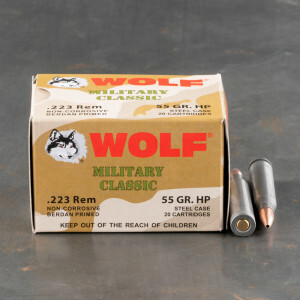 This ammo is loaded with higher quality components and should give you more accuracy than cheaper, bulk range options. 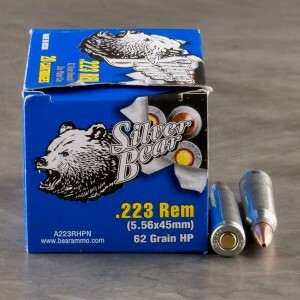 Many shooters prefer to shoot steel-cased .223 ammo because it's cheaper than most brass-cased options for sale. 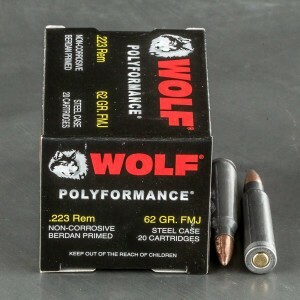 Generally, steel cased ammo works well in AR-15 rifles and you shouldn't have any trouble. Some shooters believe steel cased rounds do lead to more wear and tear on your firearms but depending upon your level of knowledge, you may be able to swap out barrels and other rifle components on your own and the money saved on ammo will make it well worth your time. 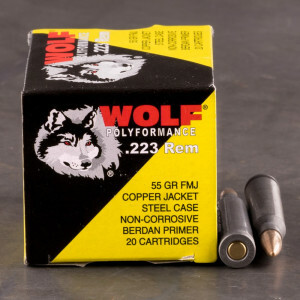 Steel-cased ammunition manufactured today is not corrosive and it will not harm your .223 or 5.56x45 chambered firearm outside of regular wear-and-tear that you'd get from thousands of rounds of use. If you're shooting at the range, we recommend you go with a full metal jacket (FMJ) or full metal jacket boat-tail loaded ammunition. These rounds are typically cheap so you can get in as much training as possible within your budget. Yes, you can hunt wits .223 ammo and an AR-15 or other rifle. 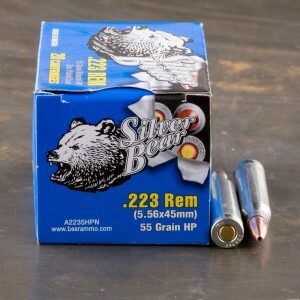 It's very common to hunt hogs and even whitetail deer with .223 ammunition. If you're going to do so, we suggest picking up ammo loaded with soft point bullets or a more sophisticated, polymer-tipped .223 round. 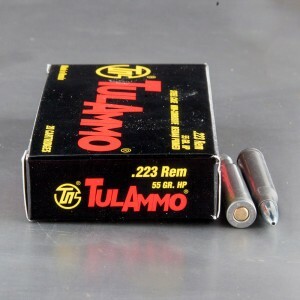 These ammunition options are typically a little more expensive but the more sophisticated projectiles will help bring down game humanely. Look for rounds branded as "match" by the manufacturer. We carry some of the best commercial loads available, featuring Federal Match, Winchester Match, Hornady and Barnes.